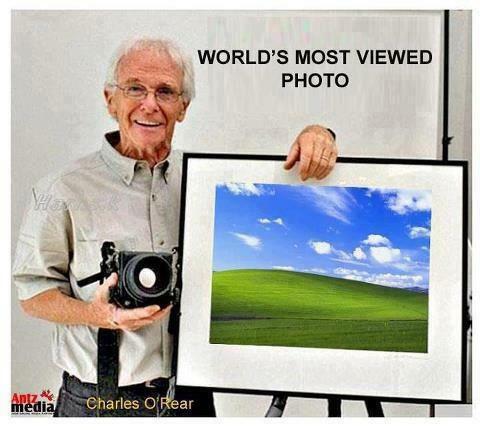 The world’s most viewed wallpaper is the, wallpaper on Windows Xp desktop called Bliss. This wallpaper is real and was shot by American Photographer Charles O’ Rear. Charles has photographed for National Geographic Magazine for more than 25 years. He started his carrer in 1978 and later he moved to Napa Valley and began photographing wine production around the world. Bliss, was used as a standard wallpaper in Windows XP and as part of the Microsoft Corporation US$200 million advertising campaign.Though Windows Vista and 7 probably used photoshop images I think they were not photographed by any photographer.